People with handicaps have been integrated in the KNAPP AG work world since March 2015. The enthusiasm, solidarity and resourceful support by the employees and the delight and progress of the alpha-nova colleagues are good reasons to continue the programme. KNAPP AG has been a member of the Bundesvereinigung Logistik (Austrian national association of logistics), a network of more than 10,000 executives, managers and experts in the field of logistics and supply chain management. The Consumer Goods Forum is a global association that connects CEOs and managers of around 400 dealers, manufacturers, service providers and other stakeholders from 70 countries. Sustainability, food safety, health & wellness as well as a continuous value chain form the main focus. Within these areas the association builds on knowledge and the exchange of best practices. ECR is a collaborative work of companies participating in the value chain, in order to meet the wishes of the consumers better, faster and more cost-effectively. It is a hybrid cooperation between trade and manufacturing companies and deals with the formation of strategic partnerships in the sales channels of the consumer goods industry. The EHI is a scientific institute in the retail industry. Its more than 750 members include international retail companies and their associations, manufacturers of consumer and capital goods, and various service providers. The World of Logistics experiential tour allows visitors to explore the versatile and exciting world of logistics. Looking through the “eyes” of an order container, you can follow its path through a logistics system. Visitors can experience order fulfilment first hand, and look into the future of logistics in a 3D cinema. KNAPP AG is pleased to welcome 1,200 visitors a year. KNAPP has been in partnership with the GIRP (European Association of Pharmaceutical Full-Line Wholesalers) for many years. GIRP is a non-profit association with more than 750 European pharmaceutical wholesalers counted among its members. KNAPP is a Trade Association partner. The Trade Association is active as representative, spokesperson and partner of trade and assists its members as they navigate the changing demands of the market. KNAPP is certified by Ökoprofit. Ökoprofit (in English: Ecological Project for Integrated Environmental Technology) is a cooperative project between the regional economy, the authorities and external experts. The goal is to reduce plant emissions, to conserve natural resources and simultaneously to reduce operating costs. 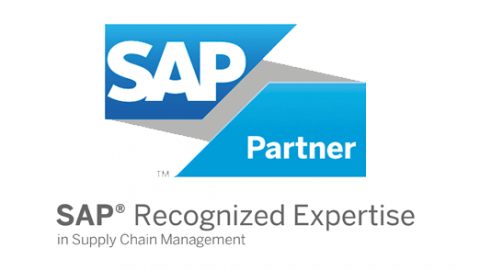 As an SAP partner, KNAPP offers SAP® EWM by KNAPP based warehouse management and material flow solutions, in addition to KiSoft WMS/WCS. SAP® EWM by KNAPP, combined with best practice add-ons from KNAPP, facilitates optimal processes and a material flow with a consistent SAP IT strategy. The Styrian Service Cluster is a non-profit association of internationally active companies with related service goals. More than 15 members regularly meet to exchange ideas and best practice experience with each other, to gain new knowledge and to initiate innovations in service. The Styrian Service Cluster was founded in 2013 under the direction of KNAPP together with ANDRITZ, AVL List, Binder + Co and FH Campus 02. 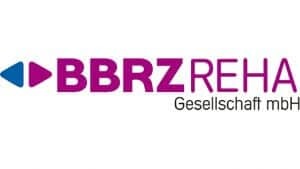 The VLB (Research and Teaching Institute for Brewing in Berlin) is a registered association with the purpose of promoting brewing science, and education and training for the brewing industry, the beverage industry and biotechnology. KNAPP actively contributes to various events by bringing in its expertise in empties sortation systems. In September 2013, KNAPP AG opened the doors to the KNAPP-Kinderwelt. The KNAPP-Kinderwelt currently offers places for about 80 children in two nursery groups and two pre-school groups.